A week spend pack and hauling and so many stairs and then cleaning and unpacking and trips to recycling and managing to every now and then squeeze in a run just to maintain my mental health and I was thinking today while out for my run that I wonder if anyone that follows me on Strava is going to notices that I moved three blocks down the street. I did not get much reading done but since I’m on book 42 on here and it is week 34 that I can take a week off but I am very excited about my vastly expanded reading alcove and the gigantic outdoor space I now have. Any outdoor space would beat the nonexistent outdoor space of my last place so this is a plus but it is also really huge and I can’t wait to have a garden but I don’t know what grows in the fall so that will probably have to wait until the spring unless of course I pick up a Vancouver year-round-gardening book if such a book exists. Anyway, my body is wrecked. 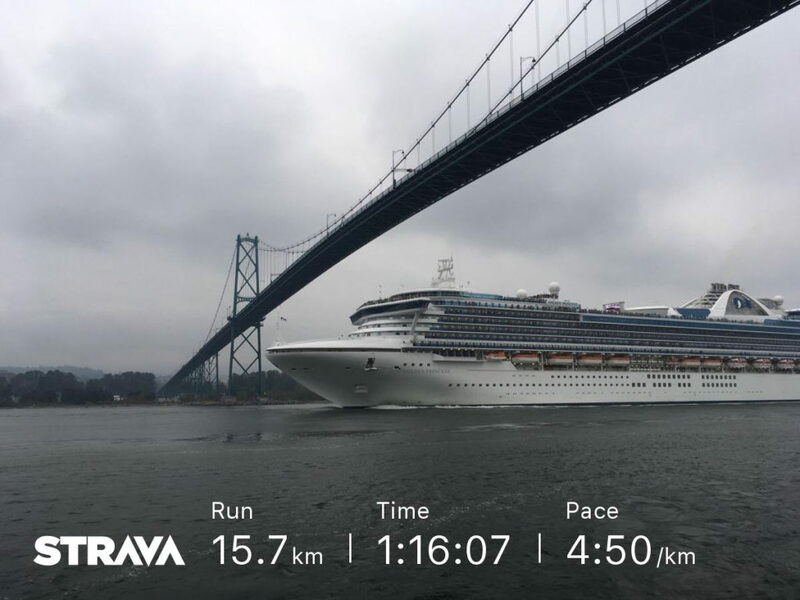 I ran 15 KM less than I’d wanted to this week and I feel like I ran a century. I’m tired. I could go for a vacation. Even a cruise seems nice right now, and I generally hate the very idea of a cruise. Back to chasing my fall BQ. Then maybe a vacation. Every time I see a cruise ship I think about that bit Bill Burr does in his stand up about over-population.